Smartphones are ruling the world today. While Samsung has now emerged as the world leader in the industry, Nokia and Apple are quite in competition with each other for the second position. Nokia did turn out to be disastrous for the series of unsuccessful phones they introduced under the smartphone tag. It began with Symbian S40, the upgraded to Symbian S60 and a totally different version came out the Belle, all being futile attempts to stand tall in the smartphone market. Nokia’s collaboration with Microsoft for the Lumia series powered by the Windows 7.5 version also did not garner much profit for the company. That also marked end of Nokia era and Samsung emerged as the Global leader in Smartphone manufacturing. 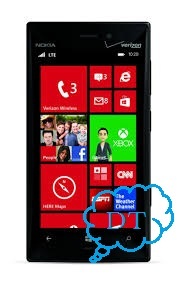 Off late Nokia collaborated with Microsoft again to introduce more models running on the Windows 8 operating system. This turned out to be the saving grace for the company as Nokia Lumia 928 is now termed as the best Windows 8 yet. The Nokia Lumia 928, sports a 4.5 inch display with a 332 pixel per inch density it is mounted an AMOLED capacitive touch screen with 16M colors and protective Gorilla Glass 2 finish. It supports PureMotion HD and a ClearBlack display, the configuration is quite impressive as lives up to the expectations of Nokia’s hardware, which was and will remain the best, despite a loop hole of unsuccessful handsets being manufactured by the company. The operating system for the Nokia Lumia 928 comes as the cherry on the cake as Windows is amazing operating system for touchscreen devices. Though it failed to appeal to the masses on the desktop or the laptop front, when it comes to devices that are more functional on the touchscreen, the operating system operates as butter on the knife, smooth fast and easy. The support the operating system, the Nokia Lumia 928 is mounted on the QUALCOMM Snapdragon chip-set and powered by a dual core 1.5 GHz Krait, you must have already realized that performance wise the Nokia Lumia is quite a good deal. One feature, that makes the eyeball pop these days in the camera, nevertheless as far as the camera concerned, the Nokia Lumia 928, sports a sharp 8MP camera with 3264×2448 pixels on the most reliable Carl Zeiss optic lens with features like optic image, image stabilization, autofocus, xenon flash, basically all the specifications that need to qualify the camera in the category of being a decent one and yes, video recording is also in the bag, the Nokia Lumia 928 supports HD video recording at the resolution of 1080p at the rate of 30 frames per second. It also sports a secondary camera of 1.2MP at the resolution of 720p, again at the rate of 30 frames per second. Connectivity wise, you do not have to think twice, it is Nokia on the talks after all, it does support GPRS, EDGE, Wi-Fi 802.11 a/b/g/n, dual brand, DLNA, Wi-Fi hotspot, Bluetooth version 3.0 and USB connectivity as well. The Nokia Lumia 928 also supports 3G and 4G connectivity as well. There isn’t a necessity to ponder on this area as Nokia has never seen issues with the connectivity and it is always managed to offer the best of the features in this scenario. The battery is again a clean sweep for the innovation that has come across with the battery in the Nokia Lumia 928; the phone is powered by a Non-removable Li-Ion 2000mAh battery that provides a backup of 11 hours on 3G and 16 hours on 2G for talk time and 541 hours on 3G and 606 hours on 2G for the standby mode. This is where Nokia has been able to live up to the user expectations, for there have been Nokia phones that have provided battery backup of several days together but provided that this model is a smartphone, there is an exception but then again Nokia should have made an attempt to provide a battery backup of at least 24 hours like Samsung and the other manufacturers have, but this 11 hour battery backup for the best Windows 8 phone poses more as a disappointment for when you have a supposedly best phone in the pocket, making a dash for the plug point for poor battery backup is not really acceptable. Another striking feature that has managed to grab some attention is the wireless charging. The all you need to do dock in the system on the charging point and leave it for charging. This feature of the Nokia Lumia is indeed something different and unique. There are reviews and user opinions that speak of the Nokia Lumia 928 being on par with the Android and the iOS of the present day but then there are others who speak the Windows 8 phone being the kid in the block and therefore competition is out of question. Well, debates will go on and off, but until and unless one gets a hands on experience it will be difficult to make a judge. Yes, Android phones are really great, it has walked past the iOS as well in the past year, expect in US of course, but Microsoft has been in the business for decades together, it definitely would not come with something really un-practical. So the game is on, Windows 8, Android and iOS, the best will emerge as a leader in the industry. This was posted by Julia. She wrote several tech posts for 91mobiles.com. Her passion for blogging and upgrading her knowledge puts her to research on topics relevant to her industry.